Borussia Dortmund winger Jadon Sancho has been rewarded for his excellent recent performances for the Black-and-Yellows with a fresh contract, which ties him to the club until 2022. Sancho has been one of BVB's standout performers in 2018/19 despite the fact that he has yet to start a league game. His European-high five assists in just 124 minutes on the pitch have helped Lucien Favre's side climb to the top of the Bundesliga. 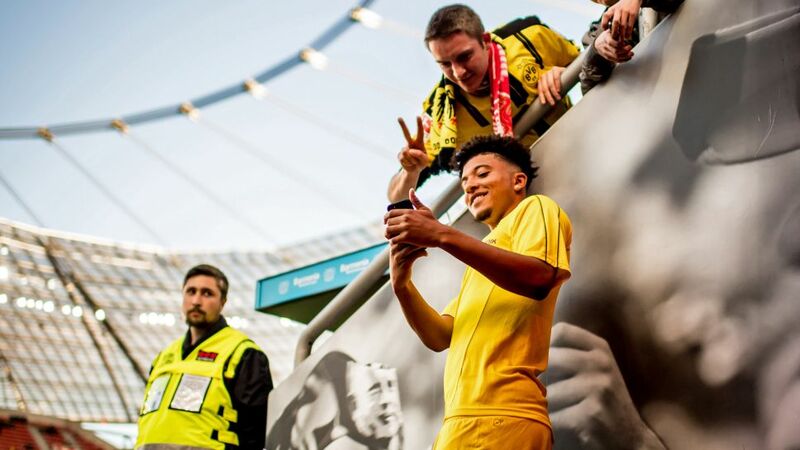 "Jadon Sancho is definitely one of the most exciting players in Europe," said Dortmund sporting director Michael Zorc. "This contract extension is the result of his excellent development." The 18-year-old England U19 international joined Dortmund from Manchester City in August 2017 and made 12 top-flight appearances last season, scoring his first Bundesliga goal in a 4-0 win over Bayer Leverkusen in April. Tweet: Signature of the day: @Sanchooo10! Give us your reaction to #Sancho2022 with a GIF. "I'm very glad I decided to join Dortmund just over a year ago, because everything I'd heard turned out to be true," Sancho declared. "This city lives and breathes football like no other, and at BVB young players are given a shot. I can develop brilliantly here. I'm very happy and so proud to be part of this team. It's fantastic." Sancho returned to haunt Die Werkself on Matchday 6 of the current campaign, coming off the bench with Dortmund 2-1 down and inspiring them to an incredible comeback, setting up goals for Marco Reus and Paco Alcacer as it finished 4-2 at the BayArena. The young Englishman is clearly part of both the club's and coach Favre's long-term plans, and the question now is perhaps when, and not if, he will become an integral cog in the Dortmund machine.